Berg: Classified southeast exponated slope with cool, mineral conglomerate soil; enables optimal nutrient suppliement; this unqiue site is ideal for complex wines with a lingering minerality. Selection of the best physiologically ripe grapes; 12 hours skin contact; fermented in stainless steel; kept on the lees for 8 months in traditional acacia wood barrels. 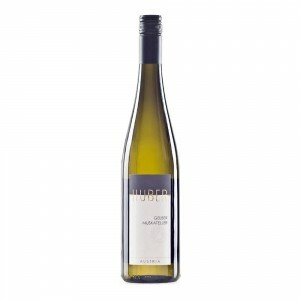 Intensive yellow; pure peach aromas; the palate is tightly knit and has acid structure rich in finesse.